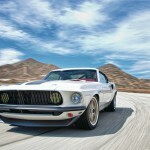 Mustangs & Fords Car Of The Year! You Must See This Amazing Cars! Instead of making things easier, we made them even more difficult. We chose the best Car Of The Year and three ones for the grand final. This beauty surely looks like it just got out of the factory, but truth is, it was restored and modified many heavily. 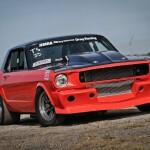 With all modifications made, her owner Matt Lazich spent much time on its accentuation rather than on its redefinition. 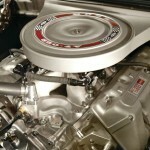 It`s a 520ci Boss 9 engine, built by John Kaase from Racing Engines. 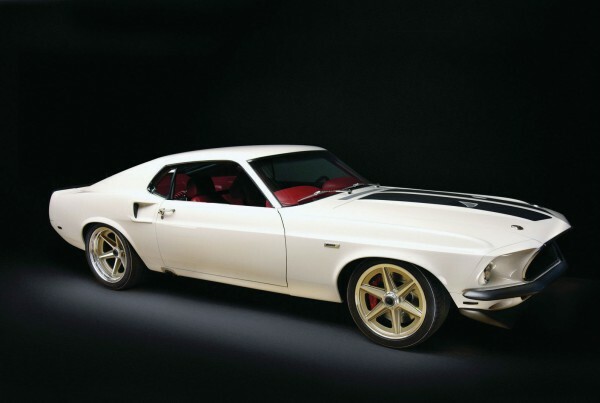 It has a Tremec TKO-600 five-speed manual transmission. The front and rear suspension is JME inboard cantilever coilover with Maier torque arm. The tires are Michelin Pilot Sport II. The interior has been completely customized as the exterior. You can spot the front and rear spoilers and the carbon-fiber hoods with the front fenders. Here is our surprise in the show. 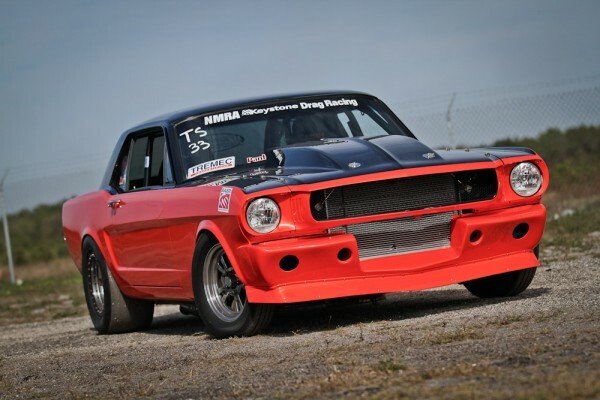 It`s the 1966 drag-like Mustang Coupe, in ownership of Chris Lancaster. It is the ultimate car when it comes to at-home design, fabrication and aim, fitted with a turbocharged modular powerplant. It has 4.6L DOHC Modular engine. The transmission is Rossler Turbo 400 three-speed automatic. The interior has been clearly restored with 25.5 SFI-spec rollcage, Kirkey seats. The wheels BBS RK or Hole Shot Sun Star. 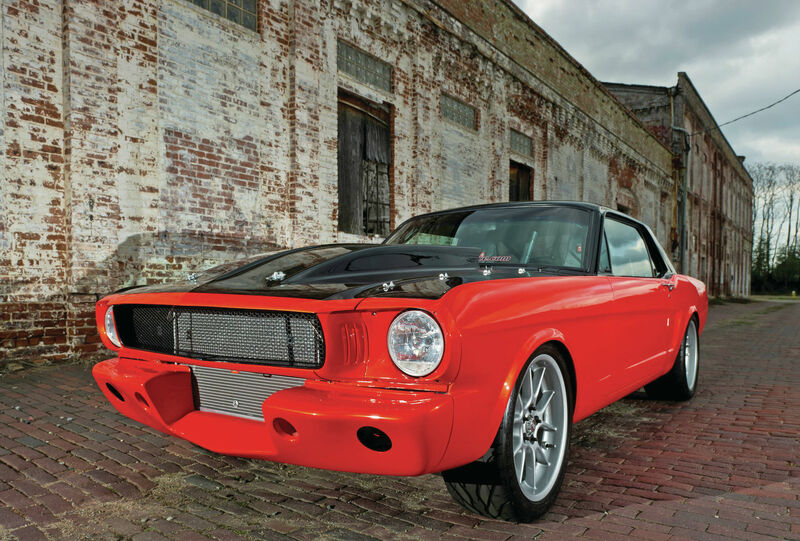 The paint job is top-notch, with House of Kolor Ultra Orange Pearl shade and fiberglass hood. 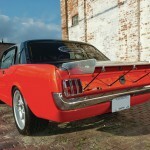 Every single piece of this Mustang Sportsroof has been modified in some way. It`s part of the Ringbrothers trio. 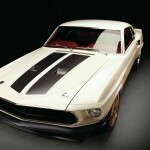 Its design modernizes the whole Mustang concept. It was awarded with the distinguished price Shine in 2010. 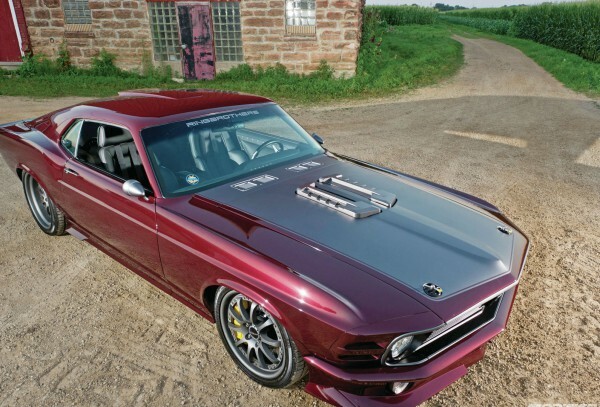 It has Roush Performance 427IR crate engine with Tremec TKO-600 five-speed manual transmission. The rear suspension is Detroit Speed Quadralink and the front is JME SLA double wishbone. The wheels are forgeline custom ones and the tires are Goodyear Eagle Supercar tires. The paint job is one of a kind. A dashing Dragon`s Blood Red BASF Diamont paint. At last, must see the World Cars of the year on this link!